Animation has been a staple of the filmmaking process since the early days of cinema. Animated shorts had been produced for decades, but not until 1937 did a major studio venture into animated features when Walt Disney produced Snow White and the Seven Dwarfs. Of the hundreds of animated feature... read more films made since, many have proven their importance over the years while also entertaining generations of audiences. There are also many recent animated movies that promise to become classics in the field. Each movie is also discussed in the context of its original release as well as the ways in which the film has lived on in the years since. Familiar favorites and lesser-known gems are included, making the book a fascinating journey for both the avid animation fan and the everyday moviegoer. 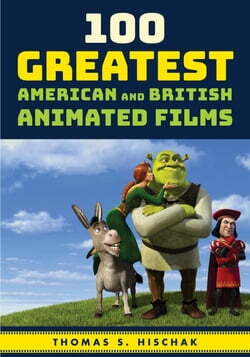 With a sweeping look at more than eight decades of movies, 100 Greatest American and British Animated Films highlights some of the most treasured features of all time.